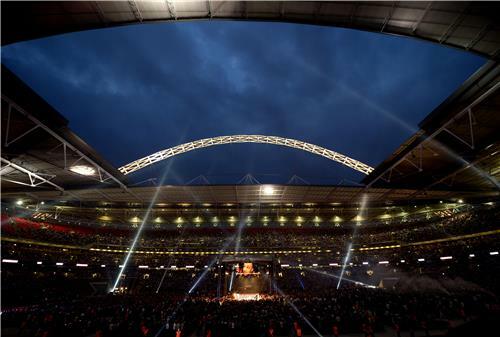 Live coverage from Wembley stadium of the most anticipated fight in British boxing history, plus commentary on a packed undercard. 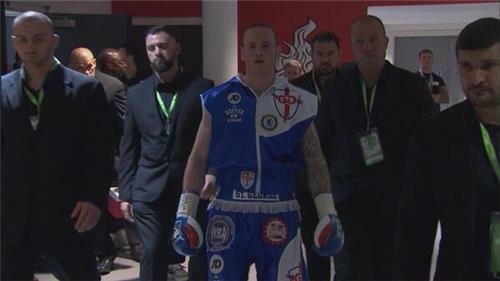 FROCH is on the way.....he's heading to the ring. A lot of BOOS.....and I don't mean booze. 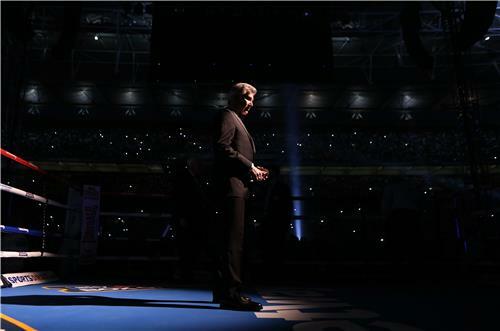 The ring walk begins at Wembley Stadium. I've seen a few big sporting occasions but wow this is some atmosphere. It reminds me of the Olympic ceremony...red double decker buses...and on comes Groves with sparklers, dancers surrounding his grinning face. WOW! This boy doesn't lack confidence. MSN POLL - most of you still thinking Froch will come through this one. Groves looks pumped. Froch is sweating like a nervy stallion. Have those fireworks worn him out? Possibly the worst prediction ever coming out of Roy Hodgson's camp tonight. Last few words from the corners.....FROCH v GROVES.....we're off. 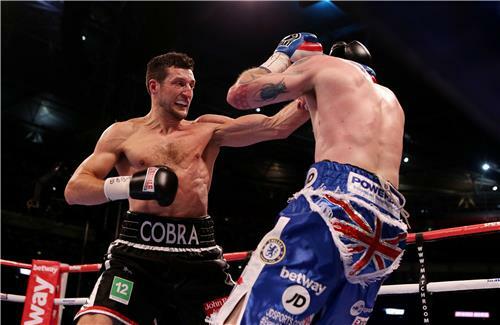 ROUND 1: Groves jabs Froch slap on the nose. Groves looking sharp and Froch appearing a little tentative. A busy round for both. Groves defending with right arm high and low arm dragging. 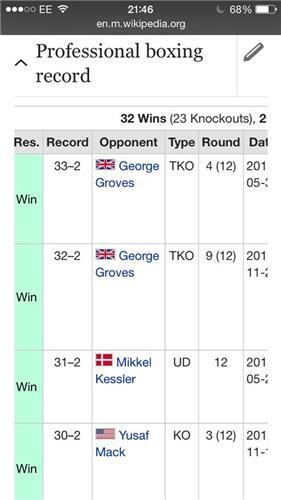 Groves slightly nicked that without any fireworks. Thanks for provding this commentary! 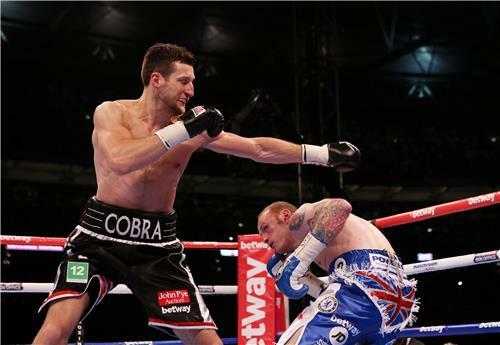 ROUND 2: Froch on the canvas but that's a push from Groves and the ref's not happy. Good work from Groves with his right hand. 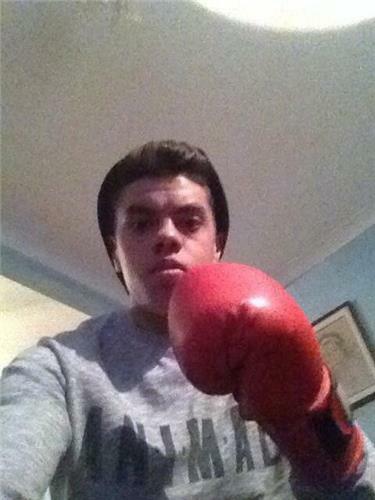 Where's your left hook you promised George?! Still steady from both. 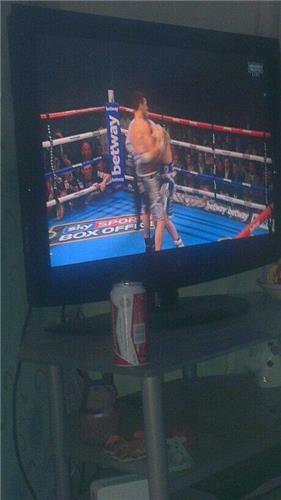 Watching the previous fight earlier, plenty of low arm defending by both. I'm expecting things to go boom in round 3. Expecting things to go BOOM jack6251? What does that mean?! ROUND 3: There's the boom! Double boom in fact. Froch is on top there. Groves is wobbling but the Londoner pops one back. Froch on top. POW. 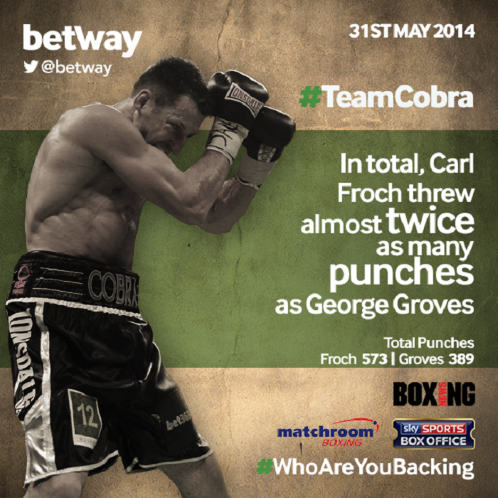 Groves smacks Froch on the chin with a crunching right-hander. Cracking round. Just thinking maybe in round 1 & 2 they could be testing each othe, someone may step it up come round 3 onward. ROUND 4: Groves gets the crowd on their feet with a sling that lands. 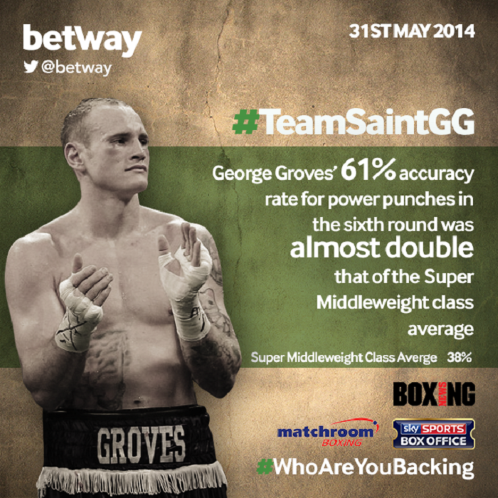 And Groves lands another right-hander before Froch comes in with a couple of cute ones. Groves dropping his shoulders. There is clearly a lot of boxing respect between these two.